For 2019, Petzl sticks to their plan to make helmets that offer side protection in addition to the standard top protection. The updated Meteor, Petzl’s most versatile helmet now offers enhanced protection that complies with Petzl’s more stringent top and side protection testing protocol as well as other new features. Both the Meteor and Sirocco helmets now have the option of adding a lightly tinted screen eye shield that protects eyes from wind and improves visibility in inclement weather. Improvements to the Meteor helmet include lighter weight, better ventilation, and compatibility with ski goggles or a visor. 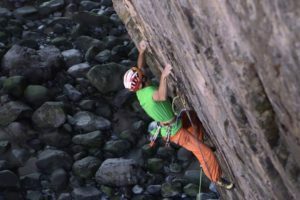 Petzl has recognized that impacts to the front, rear and side of the head happen as frequently as to the top, and has improved the level of protection that a helmet should offer. These improvements make it well suited for both summer and winter use.